I presented on positive psychology tonight through my webinar series. 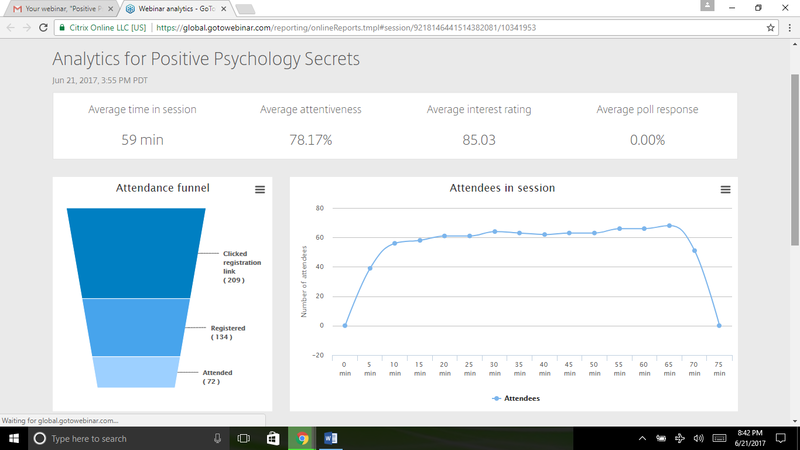 Here are the analytics of the webinar. 209 people clicked on the registration page. 134 people registered for the training webinar. 72 people attended this webinar out of the 134 who registered. Naturally, there will be a limited time replay for the people who didn’t see the live training. The average time a person was in the session was 59 minutes.